The NFPA, or National Fire Protection Agency, is dedicated to helping facilities improve their overall fire safety and prevention programs. 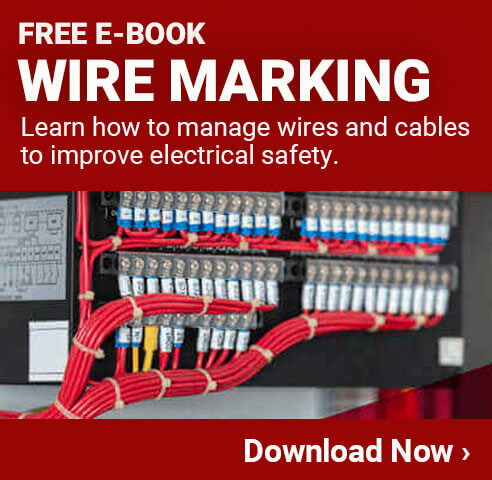 This is done in large part by issuing safety standards, guidelines and codes that help instruct companies on how to stay safe when working with fire or electrical equipment, as well as anything that could cause fire or other hazards. What the NFPA is perhaps best known for is the NFPA Diamond labeling standard. Just about everyone, whether they work in a manufacturing facility or not, have seen a NFPA Rating diamond label in one place or another. They are used to provide information about chemicals or other products related to their overall safety. Top – The top section is always in red, and is used to provide information about the flammability hazard associated with the item being labeled. Left – The left portion is blue, and associated with what type of health hazards may be associated with the contents of a container. Right – The right side is in yellow, and gives information about the instability hazard (explosiveness). Bottom – The bottom area is in black and gives any special information such as that it is radioactive, corrosive, acidic, or has other similar properties. 0 – A zero means the item or chemical will not burn. 1 – One means that the contents must be preheated in order to allow ignition to take place. 2 – Two means that it must be either heated, or have a high ambient temperature in order to burn. 3 – Three indicates that the substance can be ignited at virtually any ambient temperature. 4 – Four means that it will vaporize and easily burn at all normal temperatures. 0 – Zero indicates there is no health hazard. 1 – One means that the contents can cause a significant irritation. 2 – Two indicates that it can cause a temporary incapacitation, or residual injury. 3 – Three means that it is able to cause very serious and/or permanent injuries. 4 – Four means it can be lethal. 0 – Zero indicates that it is stable. 1 – One means that the item is normally stable, but high temperatures can cause it to destabilize. 2 – Two indicates that a violent chemical change can occur at high temperatures or pressures. 3 – Three means that it could explode at high temperatures or when shocked. 4 – Four indicates that it may explode, even at normal temperatures and pressures. ALK – Indicates that the contents are alkaline. ACID – Indicates that the contents are acidic. COR – Indicates that the contents are corrosive. OX – Indicates that the contents are oxidizing. Radioactive symbol (three triangles facing in on a circle in the center) means that the contents may be radioactive. A W with a line through the upper middle indicates that it reacts violently or explosively with water. These labels are well planned out, using colors, shapes, numbers and letters to quickly provide information to everyone in the area. Nothing on this label is overly complex, so it is easy to read and comprehend by people of all skill levels in the facility. Of course, you will need to provide training to anyone who could potentially come into contact with these types of labels so that they will know how to respond safely for themselves, and the entire facility. The NFPA is one of the country’s largest organizations that is dedicated to improving safety. Individuals and companies that become members of the NFPA gain access to a wide range of extra industry standards information and other opportunities. The fact is, however, that their labels and many other standards and guidelines that they have helped to develop are available for use by anyone, or any company. This is especially true of the NFPA diamond labeling standards, since it has essentially become the primary way by which information is conveyed about a wide range of different chemicals and other potentially dangerous chemicals. So, whether or not your facility is a member in the NFPA, make sure you are still using and following the labeling guidelines that they have created. The NFPA Diamond labeling standard has been largely accepted by industries throughout the country. In many cases, these labels, or ones that are very similar, are required for shipping or delivering hazardous chemicals. For this reason, it is essential to be able to print high quality labels that you can apply to chemicals when they arrive in your facility, or when you are shipping them out. It is even necessary to have a label if you are simply storing one of these dangerous items in your facility or warehouse. The best way to ensure you are able to quickly label these items when necessary is by having a high quality industrial label printer within your facility. LabelTac NFPA LabelsFor many facilities, choosing the right label printer can be surprisingly difficult. There are many different options out there to choose from, each boasting a variety of different features. One of the best options for virtually every facility operating today is a LabelTac label printer. These printers are made not only to just print high quality labels, but also to operate properly within the potentially rough facility environment. LabelTac printers are easy to setup, and can be used to print off custom designed labels, or use any of the hundreds of options that come with it. Of course, the NFPA diamond design is one of the many options that come on the software included with all LabelTac printers, so it is easier than ever to create high quality printers that convey the exact message that you require. One of the most important things to keep in mind once you’ve printed off the label from your LabelTac printer is how it is applied. In many cases the containers that are used to hold potentially hazardous chemicals will have uneven surfaces or even old paint or labels on them, making it difficult to stick properly. Clean the Surface – If possible, make sure you clean the surface of a container before it is filled with the chemical. This is the safest and easiest option, and will allow you to have a nice clean surface to apply the label to. Avoid Friction – If you must clean a surface while the chemical is inside the container, make sure you don’t generate heat or friction, as this may cause problems. Of course, you can look at the NFPA label that you want to apply, and see just how flammable the contents of that container may be and whether friction will cause any hazards. Apply to Dry Surfaces – As with any type of labeling, it is best to apply these labels only to dry surfaces. If a container, for example, is delivered in the rain, make sure to dry it off safely and then apply the label. Find a Smooth Surface – All labels will work the best on nice, flat surfaces. If possible, locate an area on the container that is clear of bumps or ridges, so you can apply it easily. Easily Visible – Labels do no good if people can’t see them. For this reason, it is often a good idea to put two or three labels on some containers, such as large barrels. In addition, putting one on the lid is also a great way to ensure everyone is aware of any potential hazards. Keep it Clean – If the container will be in use for some time, make sure the label is cleaned from time to time to ensure it doesn’t come off, or get covered up with dirt or dust. When it comes to keeping everyone who is working with these chemicals safe, it is absolutely essential to start out by communicating the hazard to them clearly. 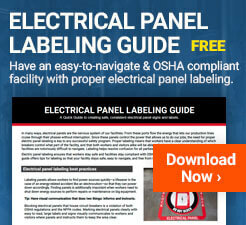 This is most often done by using NFPA labels, which you will need to print off in your facility. This is not something that should be delayed or taken lightly, as it could literally be a matter of life and death. When it comes to fire, electrical and chemical safety, it is important that everyone takes responsibility for everything they can, so that there are fewer accidents in the workplace. Part of this means making sure that anything that is coming in to or leaving your facility is labeled with the right types of warnings and other information. This starts with the NFPA labeling, but it can go much further than that. Providing people with as much information about the products in containers as possible is a great way to improve safety. Many facilities today include additional information such as how to respond in the event of a spill, or other accidental exposure. Even if it is not legally required, it can be extremely beneficial for everyone involved when that information is available. In addition to being the right thing to do, it can help minimize the negative impacts of spills or other accidents, which can bring about many benefits. This includes reduced costs and downtime related to fires, chemicals and other problems. One nice thing is that it is extremely easy to print additional labels using the same label printer that is used for the NFPA labeling. These printers can create custom made labels that are either just text, just pictures, or a combination of both. Having the ability to quickly and affordable make these types of labels will make it even easier to justify putting as much information on the containers as possible. Of course, there is a limit as to how much information you want included in a single place. When people see it and there is so much to review that it is almost impossible to read it all, especially if there were an emergency going on, than it is likely over doing it. Using common sense, and coming up with a great plan for complimenting the existing NFPA labeling standards for your facility is a great way to ensure everyone in the area has as much information as possible, and that it is delivered in the right way. If you don’t already have a safety labeling standard in place for your facility, make sure you take the time to create one as soon as possible. This should include training everyone on what these types of labels mean, and how to read them. In addition, they should know how to either print off the labels themselves, or get in contact with someone who has access to the LabelTac printer so they can have them created. Ideally, nobody should be moving or using any type of potentially hazardous material in the facility if it doesn’t have at least the NFPA diamond label on it. While it will take some work and planning up front, these types of safety labeling systems are fairly simple to put in place, and get everyone on board. Most facilities don’t have any trouble, since it is clear that this type of system provides a lot of value, and is minimally disruptive to an employee’s daily workflow. Contact Creative Safety Supply at 1-866-777-1360 for all your NFPA labeling needs.